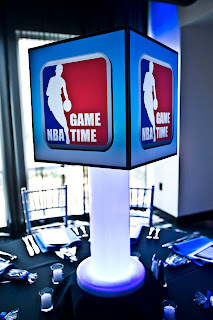 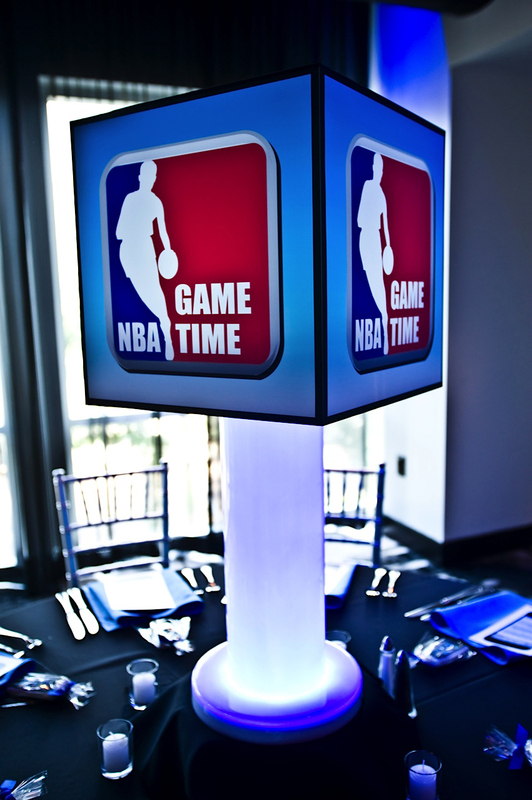 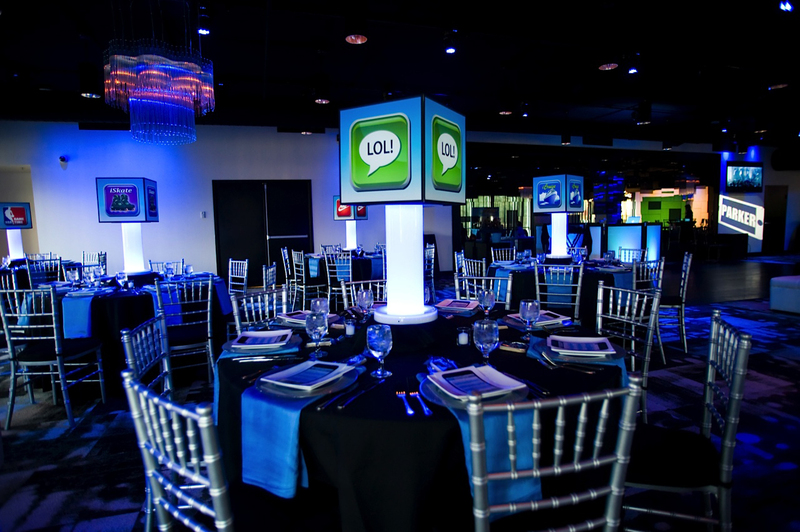 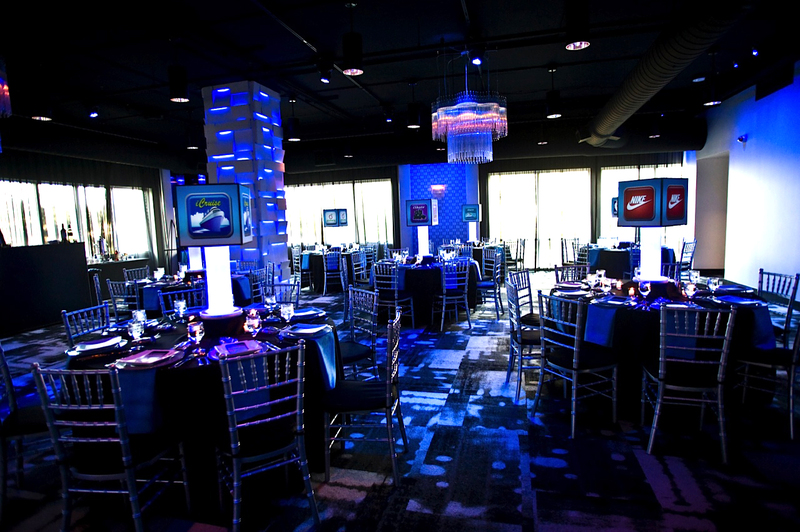 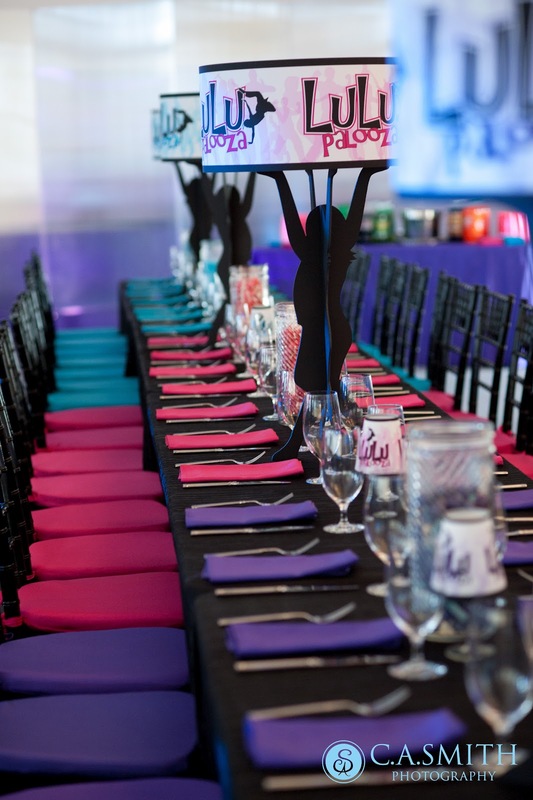 With so many kids carrying iPhones, it is not surprising to have the graphic images of "apps" define the decor for a Bar Mitzvah.Using the custom apps designed for the event we created these cube shaped centerpiece toppers for a client in Florida. We think the event design was fabulous, and we loved having the chance to add our unique centerpieces to the overall decor. Custom Cut bases for LuLu Palooza! 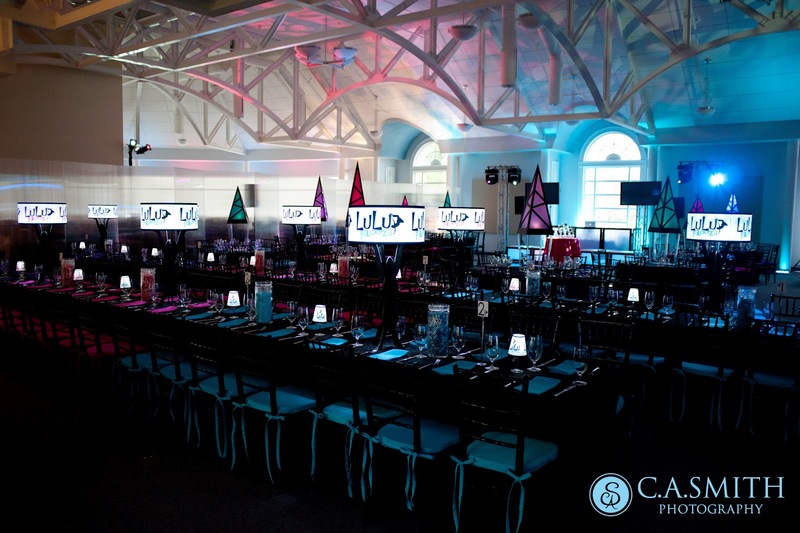 We just received these great photos from C.A. Smith Photography in Kennebunk, Maine and they reminded us how much we loved working on this Bat Mitzvah! 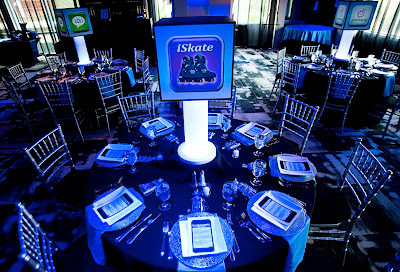 The logo and colors popped, and we had the chance to design a custom cut base in a fun and new way. 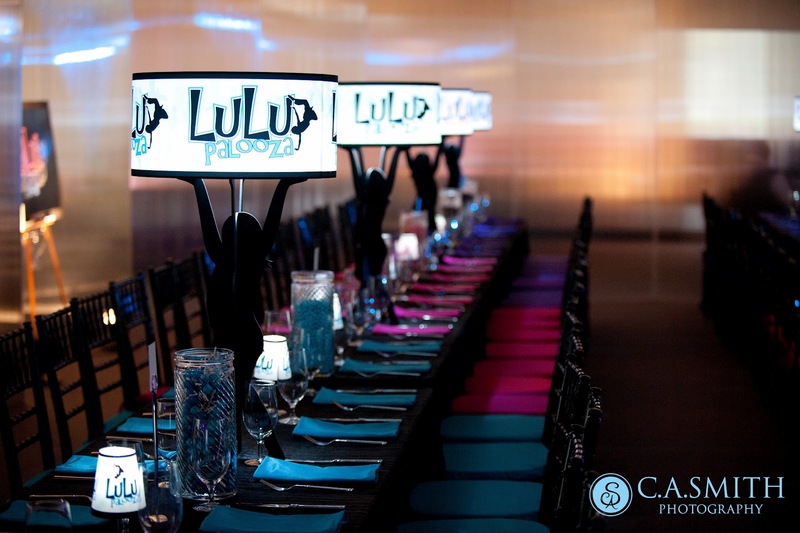 Taking the silhouette of Lulu herself, we created a dancing figure with arms up stretched that held the internally lit shades up above the guests heads. The height of the shade allowed them to see accross the table, and helped to fill the large room graphically. 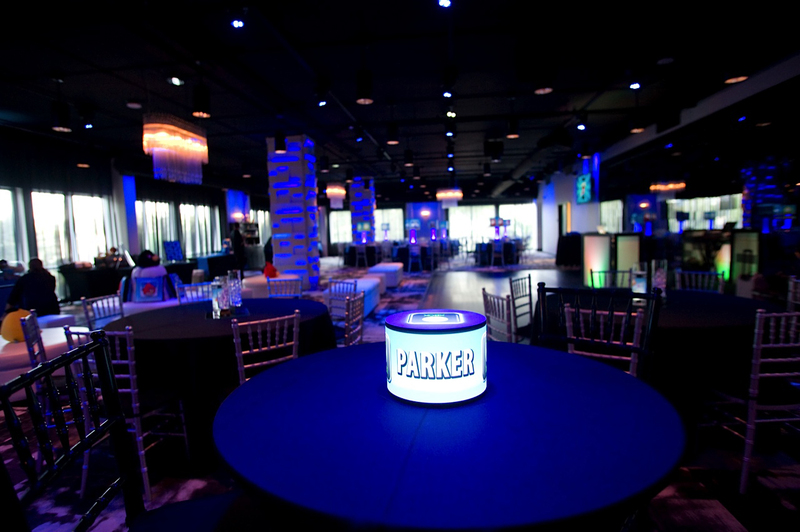 The matching wineglass shades featured the great logo on a smaller more intimate scale reminding the guests of the star of the evening. 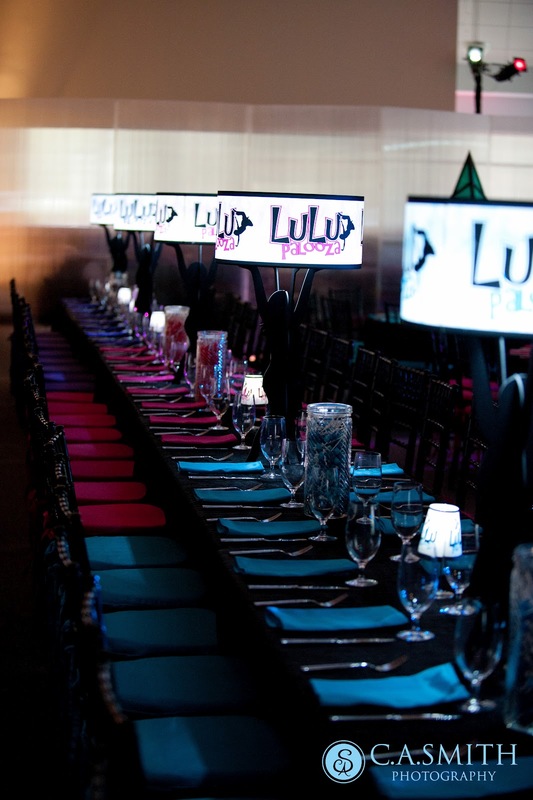 The layout and design of the event decor was stunning. The linens and seat cushions added a sophisticated and modern feel to the room and the scale of the centerpieces filled the large room perfectly. 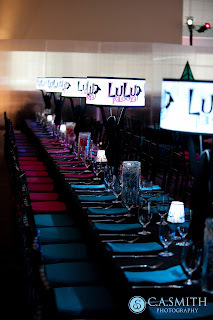 Working with Karen Philip, Lulu's mom, and her designer Carolyn Snider was a great experience. They offered us the chance to add our unique custom light up decor to their event, and we loved the end result!